Farewell to another season. Thanks so much to all who followed the blog – including occasional visitors. 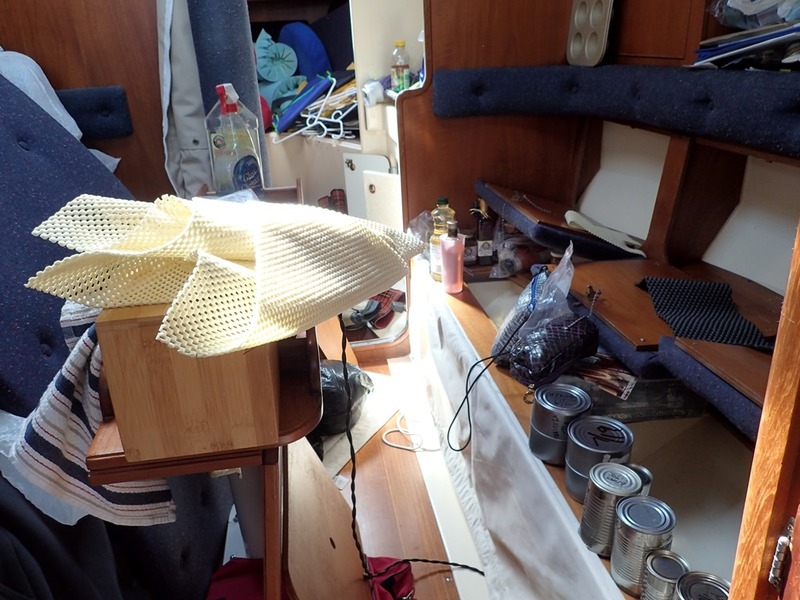 Outside, she is all buttoned up: all the canvas has been removed, the mast tied on deck, and the dinghy put away. 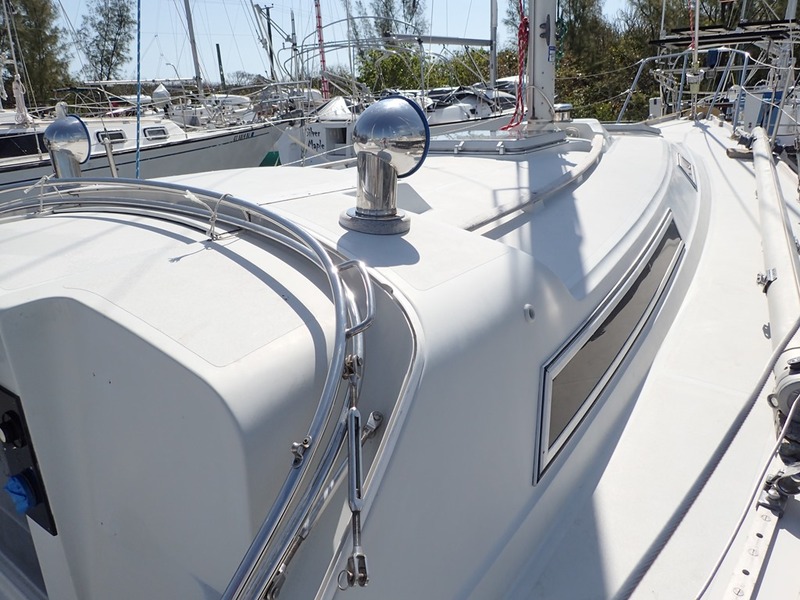 She is well-secured at Abaco Yacht Services in Green Turtle Cay. 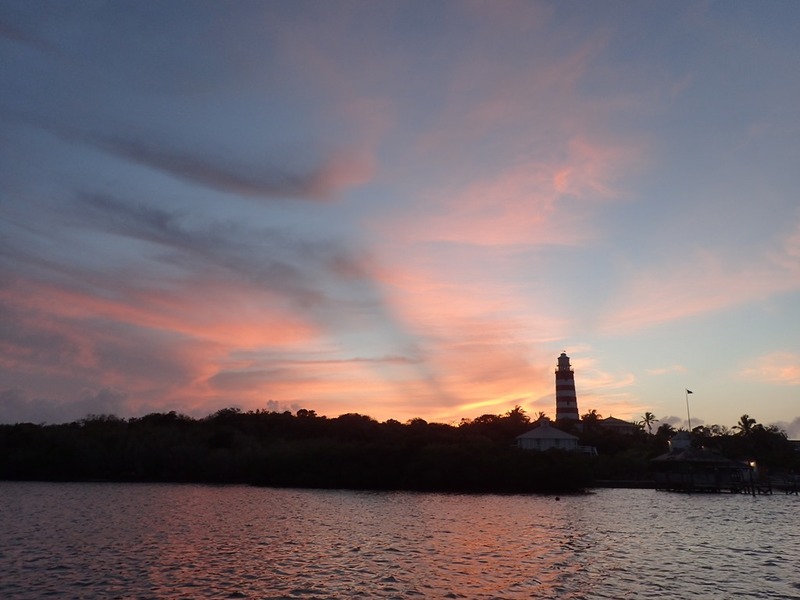 We said our good-byes and stepped from the dock onto the Bolo ferry to the “mainland” of Great Abaco Island – a 15 minute ride. 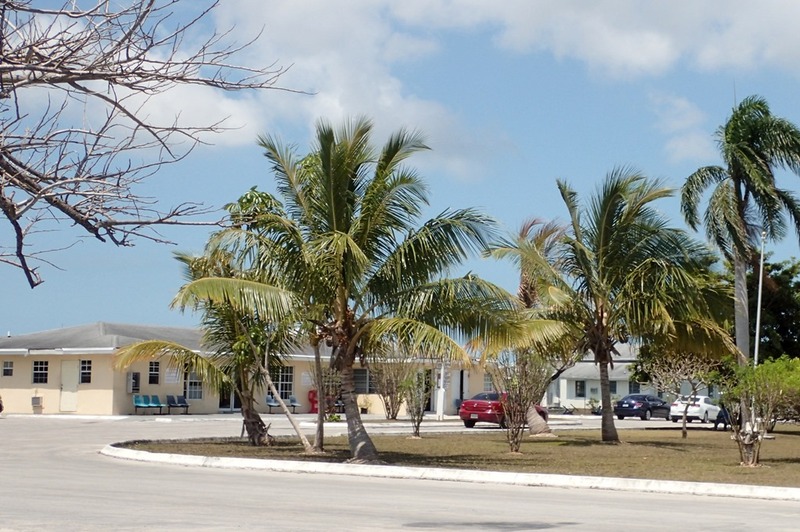 Then a 10 minute cab ride to the Treasure Cay airport. It’s across the parking lot from the terminal and under a tent. Perfect. 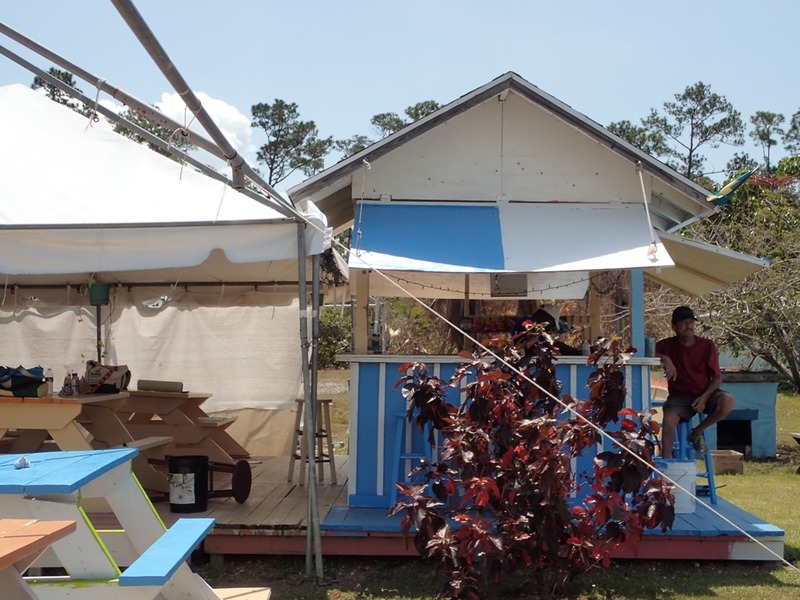 One digression – about security: A gate agent steps out of the terminal and calls over to the people eating at picnic tables under the tent, telling them it’s time to board the flight. Passengers (about 15 total) line up inside the terminal. One at a time, each passenger passes through the glass doors to the runway side of the terminal and stands at a small table outside on the sidewalk while a security agent paws through their carry on bags. There is no metal detector and no one is wanded or patted down. Easy-peasy – forget TSA pre-Check. 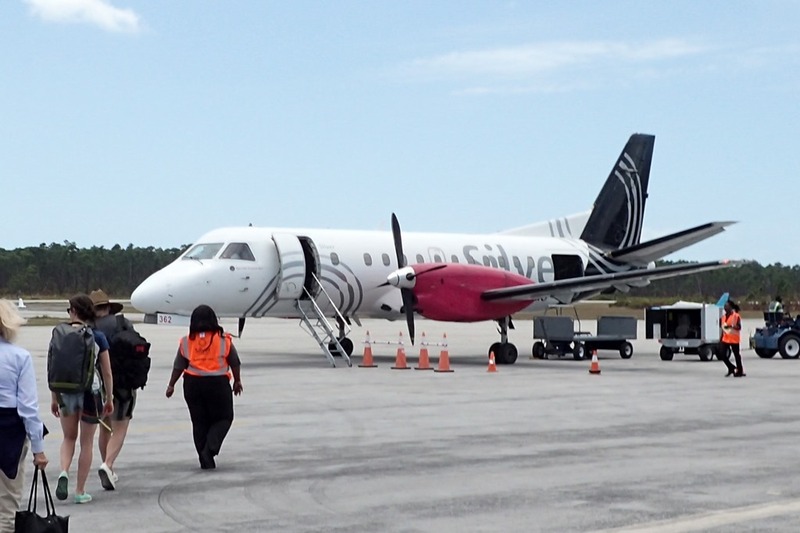 Silver Airways took us on an on-time but bumpy flight to Fort Lauderdale, where we cleared customs and boarded a Southwest flight home. Good to be home, but we sure miss that gorgeous water, the friendly people of Hope Town, and our Motu Iti. Until next time . . . . Safe travels. Thanks for sharing your winter adventures! Now on to new adventures! Thanks for a most enjoyable blog of your winter. Loved the pics, and educational, funny and inspirational journaling. Now on to new adventures. 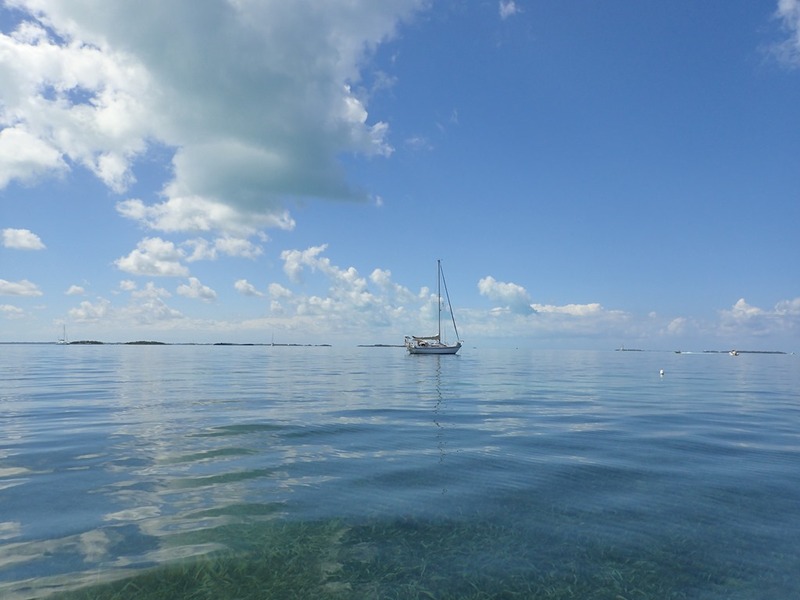 Hi – thanks for your blog; my wife and I have followed it for the last year in preparation for our Abacos trip. 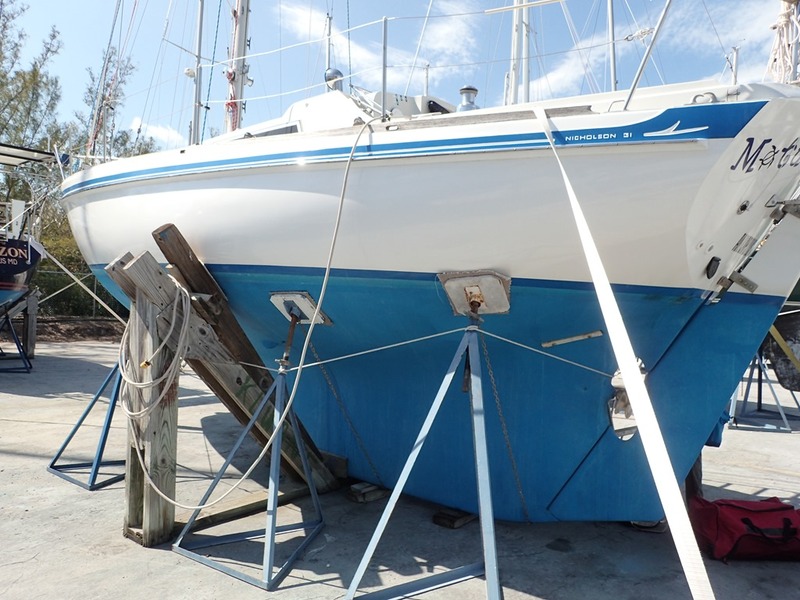 Our boat (a Pearson 367) was hauled out yesterday at Abaco Yacht Services, and we spotted Motu Iti. and to many more years of memories. Have a great life. Thanks for the warm thoughts and sights this winter. 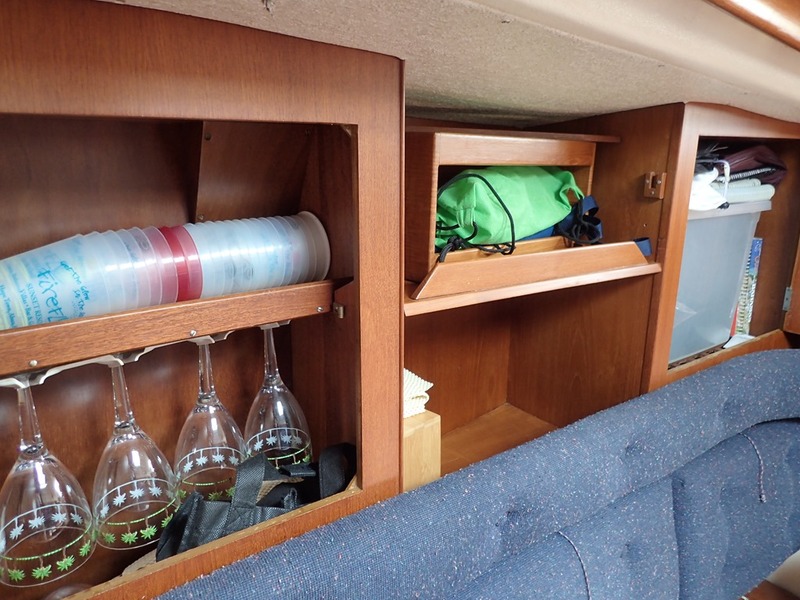 Just getting ready to put my houseboat in twin lakes for the summer. The African queen will float and leak again.